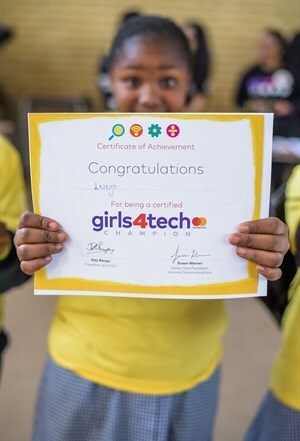 Coinciding with International Day of the Girl Child, Mastercard recently launched the African leg of its Girls4Tech programme at Sandtonview Primary School in Johannesburg. Girls4Tech aims to drive interest in and awareness of science, technology, engineering and maths (STEM) studies and careers among primary school girls aged 10, 11 and 12. The hands-on, inquiry-based programme connects Mastercard's payment technology business to STEM principles and shows students that it takes all kinds of interests and skills to pursue a STEM career. Since its launch in April 2014 in the United States, Girls4Tech has reached 30,000 girls and engaged 1,700+ employees in 17 countries. Girls4Tech hopes to inspire young girls to build the skills they need in STEM to become problem solvers and the leaders of tomorrow. It also aims to ensure that women have a voice in the development of the products and services of the future, including Mastercard’s payments solutions. Since Sandtonview, the programme has run in Cape Town at John Graham Primary School and Vanguard Primary School. 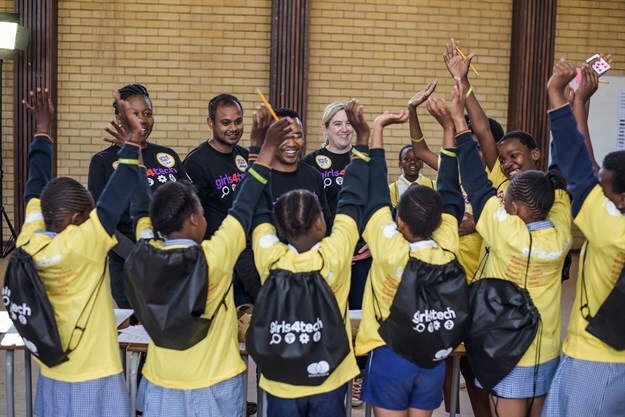 Between the three schools, Mastercard volunteers reached around 270 South African girls.